In part 1 of this article series, I gave 3 little-known strategies to turn you into an endurance beast. In this part, we’re going to look at 4 more strategies. In part 2, we went over 4 more strategies for achieving superhuman endurance. And in this final part, we’re going to look at 5 final strategies for maximizing your endurance. Known as neuromuscular electrical stimulation (NMES), electrical stimulation (EMS) or electromyostimulation devices, these contraptions elicit a muscle contraction using electrical impulses that directly stimulate your motor neurons (as opposed to a “TENS” unit, which is good for managing pain and a common low back pain treatment, but only stimulates surface nerve endings, not motor neurons). I personally own and use a Compex Sport Elite device, and although for several years I only used it for recovery, I now perform strength and explosive strength training electrical sessions for my quads and hamstrings (while at the same time practicing deep diaphragmatic breathing). Interestingly, I’ve been able to get myself into a dripping wet full body sweat with these sessions, and when performed prior to a bike ride or run, found it much easier to produce both higher cadences and speeds. 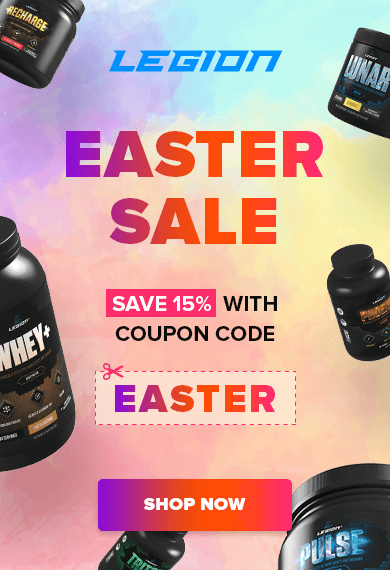 Multiple clinical studies back this up, and websites such as Hammer Nutrition have entire content libraries devoted to research and proper use of EMS for endurance sports. Finally, you may want to upgrade to a very expensive and relatively teeth-gritting intense form of electrical muscle stimulation that can leave your muscles in a state of maximum contraction for literally minutes at a time. The following suggestions will also give you faster results than any other EMS device out there. Look into the ARPWave and EVOAthlete program operated by Jay Schroeder, the guy I mentioned earlier. Jay uses an electrical stimulation device called the ARPwave, which possesses characteristics not found in any conventional therapeutic neuromuscular electrical stimulator (specifically something called interferential, microcurrent, galvanic, Russian stim, or iontophoresis). This specific wave is supposedly more harmonious with the body and significantly reduces skin and fatty tissue impedance, which allows much deeper penetration of the direct current without the side effects of nasty stuff like skin burning. Think of this as electrostimulation on steroids. By combining movement patterns with the use of ARPwave, Jay is able to achieve extremely fast injury healing time. If you can combine this type of electrostimulation training with heavy lifting or “extreme isometrics” you can get extremely significant performance results in a very short period of time. I can’t remember the last time I went to a triathlon or marathon and didn’t see brightly colored compression socks nearly everywhere. Compression gear can enhance circulation and help to speed muscle recovery post-exercise. Most compression gear companies, however, don’t dwell on the anti-vibratory effect of compression gear as much as the improvement in blood flow. But this improvement in blood flow doesn’t seem to significantly improve running endurance, and the one small study that found compression gear to improve circulation and running economy had a sample size of just six runners, with the actual results being self-reported by the subjects themselves. Unfortunately, self-reported studies present a significantly high likelihood of a placebo effect. Ultimately, 37 different compression gear studies have found that compression gear doesn’t have a significant effect on exercise performance. So why am I including compression gear as an underground training tactic? One big part of finding the balance between health and performance is treating your daily routine as an opportunity for physical activity. Remember that the entire reason behind this is to build endurance while you’re working, rather than sitting all day and then destroying your body with a monster exercise session. If you’re following this recommendation, you’re going to be standing. A lot. In following my own advice, I find myself standing for nearly 8 hours of every day. Since I tend to do my workouts in the afternoon or early evening, my legs can feel extremely heavy and sluggish without the use of compression gear to assist with venous blood flow as I spend all that time in the standing position. Just try it sometime and you’ll see what I mean. So the compression gear that I personally wear (and demonstrate in the video “Does Compression Gear Really Help Recovery & Performance, Or Is It All Just A Silly Ploy To Get Us To Dress Up In Stretchy Pants?”) is not something I wear because I believe it directly helps me during the workout, but rather something I wear so that by the time I get to my actual workout I’m able to push harder and feel better because my legs are less sluggish and less swollen with blood (as a result of me being on my feet all day). That’s why I consider regularly sporting compression gear to be a training tactic to enhance endurance. With its possible recovery implications, you should add this to your protocol. I personally use a brand called “110% Play Harder” because it allows me to insert ice sleeves into the compression gear and thus combine two of my underground training tactics: compression and ice. I’ll admit that I’ve caught some flak for mentioning strange devices like this before, but I wouldn’t bring up the mouthpiece if it wasn’t included among the gear that I’ve found to be helpful for endurance training, especially if you’re utilizing the HIIT and gritting your teeth or clenching your jaw during workouts (and if you’re going hard enough, you probably are). I first introduced the concept of using a fitness mouthpiece in a podcast episode about how a mouthpiece could help you exercise better, based on some interesting research in the Journal of the American Dental Association. I have to admit that I was a bit skeptical at first about putting something in your mouth that you clamp down on it when you’re exercising to somehow make a workout easier. But a study conducted by Dr. Dena Garner, Head of the Department of Heath, Exercise and Sports Science at The Citadel, (who I interview in the podcast episode ”Can You Get A Better Workout By Chomping Down On A Leather Strap Like An Ancient Viking Warrior?“) showed that participants wearing a mouthpiece during exercise experienced improvements in their ability to breathe – specifically taking in 29% more oxygen, while expelling 21% more carbon dioxide than the subjects not wearing the mouthpiece. It also appeared that the mouthpiece could help to lower cortisol levels. During a conference I attended a few years ago, I hopped on a “Bulletproof Vibe“ vibration platform. But can vibration training affect endurance performance?There are a number of studies that have used vibration therapy for improving anaerobic performance, longevity, recovery and injury resistance in endurance athletes. A 2012 study investigated the effects of whole body vibration training on aerobic and anaerobic cycling performance in 9 road cyclists over a 10-week intervention period. The researchers tested lean body mass, cycling aerobic peak powe, 4mM lactate concentration (OBLA), VO2-max and Wingate anaerobic peak and mean power output. The researchers divided the subjects into two groups, one that added in vibration training and one that continued as before. The researchers had difficulty with the study participants as the vibration-training group reduced their cycling training volume independently of the study design, which led to reductions in VO2-max and other variables. However, the vibration-training group maintained cycling aerobic peak power and increased Wingate peak power by 6% and Wingate mean power increased by 2% without increasing lean body mass. 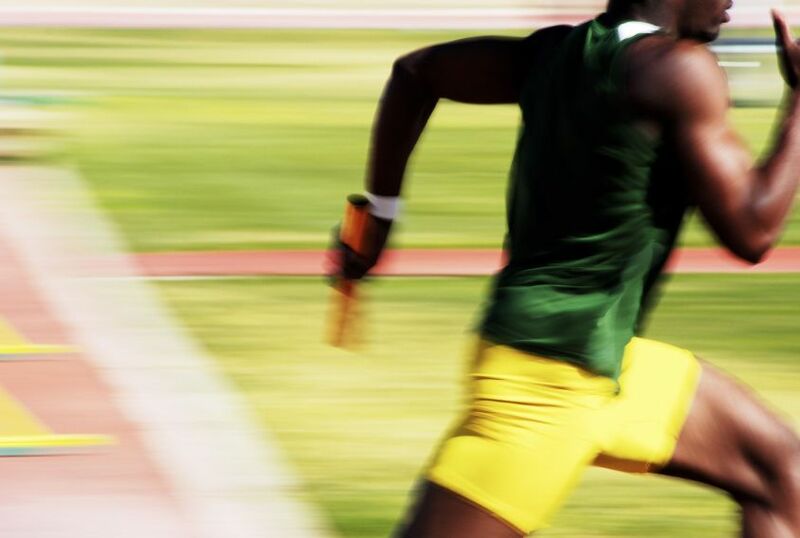 Another 2012 study investigated the effects of 8 weeks of whole-body vibration training on running economy and power performance in 24 male collegiate athletes. The researchers divided the subjects into two groups, one of which performed vibration training in a half-squat position while the others performed only the half-squat position without the vibrations. The researchers tested isometric maximal isometric force and rate of force development (RFD) before and after the intervention as well as running economy at different velocities. They reported that maximal isometric plantar flexion force, maximal isometric dorsiflexion force, RFD of 0-200 milliseconds during plantar flexion and running economy were significantly increased in the vibration-training group after training. Yet another recent study investigated the effects of 10 weeks of whole body vibration training on the bone density of 15 well-trained road cyclists. The cyclists were divided into two groups, one that performed vibration training in addition to their normal cycling training and a control group that continued with their normal cycling training. After the 10 weeks, the vibration-training group displayed a significantly greater increase in hip bone mineral density while the control group displayed no change. Put your partial or full body weight on the platform for 10 repeats of 30-60 seconds immediately prior to a run or bike ride. Do a 30 second to 2 minute isometric squat on the platform in between 2-10 minute intervals on an indoor bike trainer or treadmill. Do an entire yoga routine or a series of single leg balance moves while standing on the vibration platform. Put your hands on the vibration platform while doing push-ups, push-up variations or mountain climbers. Simply stand on the platform for 5-10 minutes each morning as you practice deep breathing, focus and meditation. The man responsible for coining the phrase “Grease the Groove” is Pavel Tsatsouline, one of the world’s top strength and conditioning coaches and former trainer of the Russian special forces. I first encountered his unconventional training methods in the book “The Naked Warrior,” which I read when I decided I was “through” with bodybuilding and wanted to find a more natural, holistic approach to keeping my body strong. So I “Grease the Groove” daily with pull-ups, and by the end of the day, I would usually have performed 30-50 pull-ups. doing short, intense commutes on my mountain bike to the grocery store, gym, bank, etc. occasionally balancing on curbs, fences, on one foot while I’m preparing meals, brushing my teeth, etc. Hopefully, you’re now beginning to understand why I included the Greasing the Groove concept as an endurance training strategy. It’s not because having the capability to perform 25 consecutive pull-ups is going to somehow make you ride a bicycle faster (although it may keep your shoulders from getting injured after long periods of time in an aero position). It’s not as though sprinkling push-ups or squats throughout the day is going to make you a faster runner per se. And remember: all of this information is focused on enhancing your time and efficiency. For example, you can do the superslow training routine I described and get the cardiovascular training effects of a 1 hour run within just 12 minutes of weight training. But it’s obviously not going to make you a more skilled runner. In other words, you still do need to swim, bike, run and train for whatever other skill you’re training in, and then use these tactics I’ve described to enhance your results. You simply can’t neglect sport-specificity, and I in no way condone ignoring training for your sport because you’re convinced all you need to do is isometrics while wearing a mouthpiece.